We encourage regular check-ups and cleanings to prevent decay or gum infections. When plaque forms and hardens into tartar, this build-up cannot be removed by simple brushing. Not only can decay occur, but tartar can form below the gumline, which leads to a more serious condition of periodontal (gum) disease. Advanced gum infections can mean more than losing your teeth. Medical research has proven this infection often contributes to problems with diabetes, stroke, and heart disease. Please take our recommendation seriously to keep more than just your smile healthy! Perhaps you have heard of the acronym TMJ, referring to problems with jaw, neck, and shoulder pain, and aching or popping jaws. Temporomandibular joint disorder (TMD) is often caused by malocclusion or improper bite in which the upper and lower dental arches do not come together as they should. 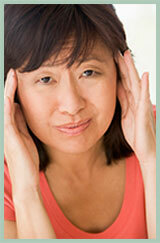 This could be due to various reasons, such as an accident, disease, or wear and tear. When your jaw does not settle into the position nature intended, strain and tightness occur in the adjacent muscles, which adds up to pain. Let us know if you have any symptoms associated with TMD and we can discuss treatment options to relieve the discomfort. It’s a relatively unknown fact that oral cancer takes the life of one American every hour. And this statistic has not changed in decades! But there is an easy, effective screening that can detect any abnormalities in the oral cavity in the early stages. Identification of this condition in the beginning phases can lead to curing the disease. Treatment for oral cancer before it is advanced has had a 90% cure rate. 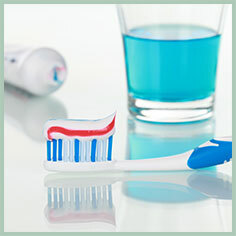 We conduct oral screenings at every six-month check-up and cleaning. If either the dentist or hygienist observes any areas that create concern, you will be referred to an oral surgeon for further examination. A system of low pressure correction is used for straightening teeth. A series of clear aligner trays use gradual but consistent pressure to straighten teeth. 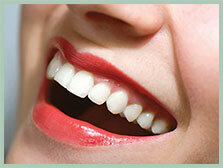 Every week you will wear a new aligner tray and have periodic office visits for a check-up. Once decay has progressed to reach the nerve of a tooth, a root canal is needed. The decayed pulp will be removed and replaced with a special filling material inside the root. This procedure will prevent further damage to the tooth and delay or prevent extraction of the tooth. A tooth can become damaged or diseased due to bacteria. The decay is removed, and the tooth will be filled with an attractive, durable filling material. 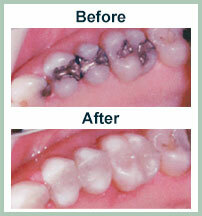 Sometimes the best solution for severely decayed or damaged teeth. We offer two whitening options — in-office ZOOM!™ procedure or custom trays made for take-home bleaching. Periodontal disease (gum disease) is the number one cause for tooth loss. This procedure cleans and removes bacteria and plaque build-up from the area around each tooth to prevent bone and eventual tooth loss. A solution for multiple missing teeth. Whether you are missing a few consecutive teeth, or all of your teeth, dentures can be a great option to boost self-confidence and improve your quality of life. If a tooth is compromised due to a large filling, root canal, or fracture, a crown may be recommended. This protective covering is cemented onto your tooth in order to strengthen and increase its life. Tooth-colored porcelain is used to make a custom made filling that will be permanently cemented into your tooth. This type of restoration is ideal to conservatively repair teeth that have large, defective fillings or have been damaged by decay. They are more conservative than crowns because less tooth structure is removed in the preparation, but stronger than traditional fillings. Onlay restorations may be referred to as a “partial crown” and is made of tooth-colored porcelain similar to an inlay. What differentiates them from an inlay is the fact that they include one or more of the affected chewing cusps in the restoration. However, they are still more conservative than a crown since less natural tooth structure is being removed. All three of these restorations are conveniently made in just one visit with our CADCAM technology! If it’s time for your next cleaning, or if you’re ready to schedule a no-cost/no-obligation consultation, call us now at (225) 590-3835.